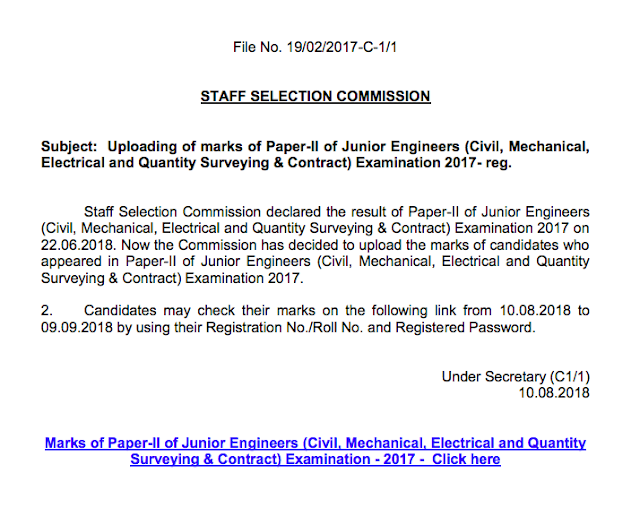 SSC had declared the result of Paper II of Junior Engineers (Civil, Mechanical, Electrical and Quantity Surveying & Contract) Examination 2017 on 22nd June 2018. Today *10.08.2018 it has uploaded the marks for same. 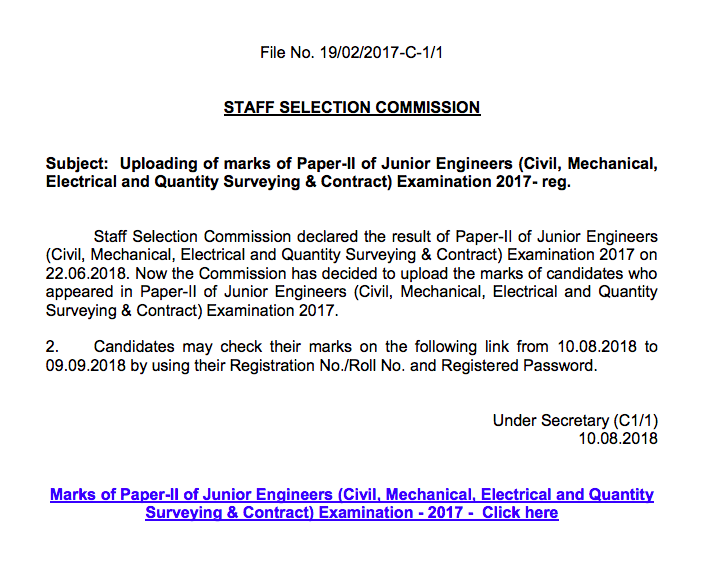 Aspirants may check their marks on the link given below from 10.08.2018 to 09.09.2018.